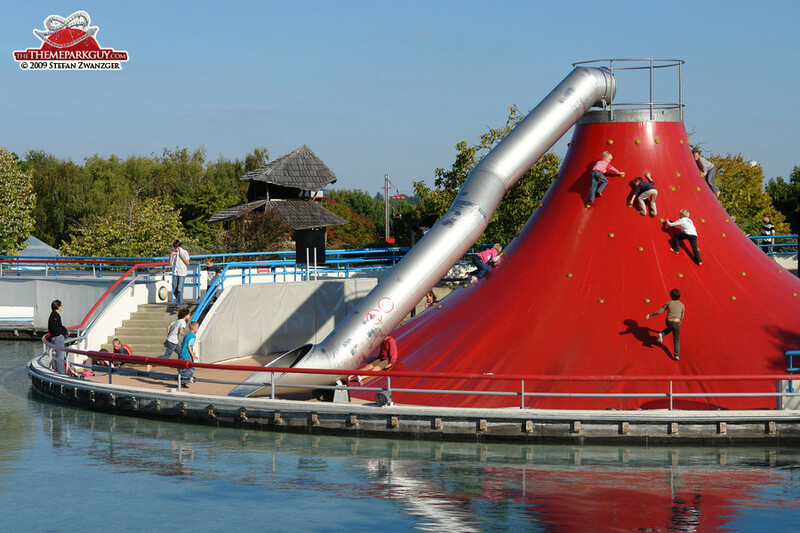 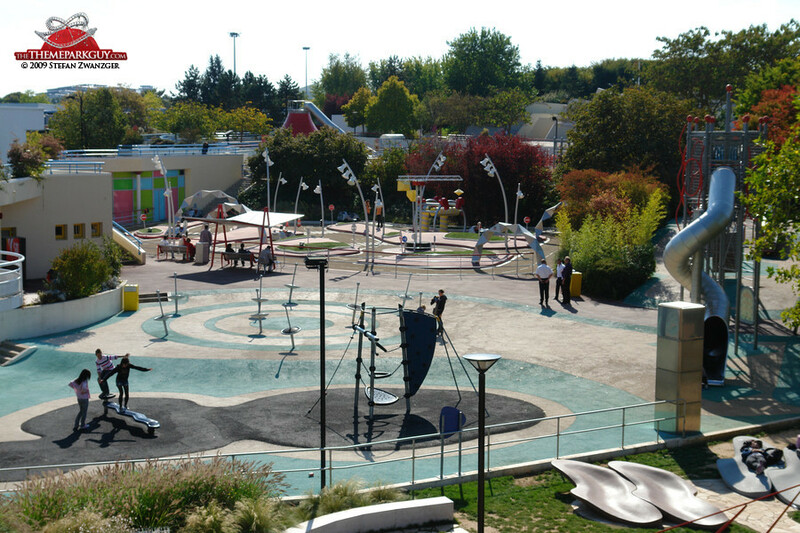 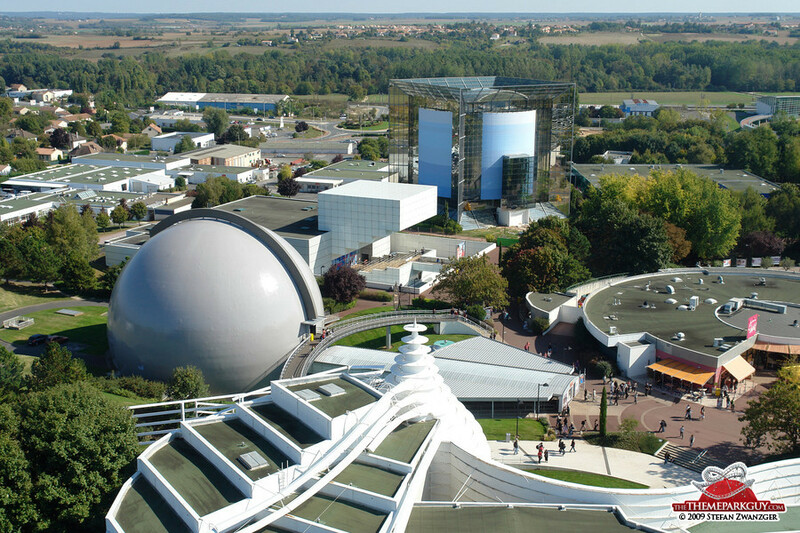 The pride of France's home-grown leisure industry, 300 kilometers south-east of Disneyland Paris, offers less than one would expect, unfortunately! 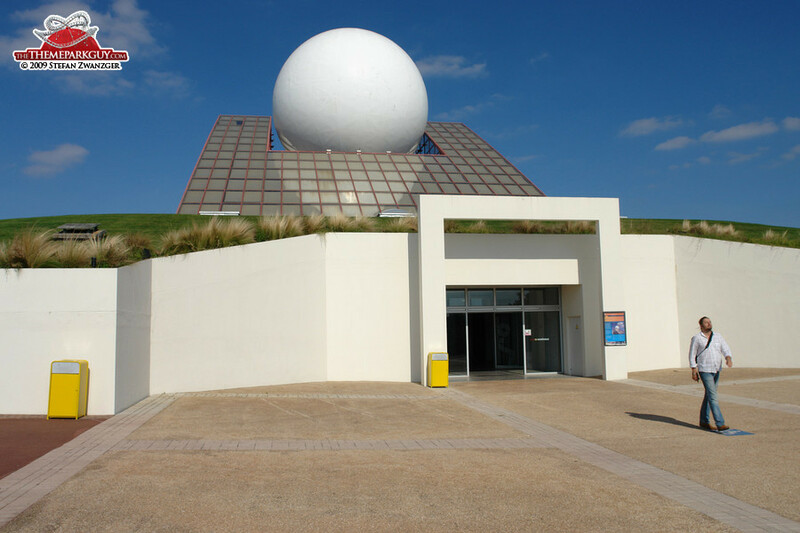 I believe the future of mankind won't consist of cold glass-and-steel buildings with isolated individuals wandering lost between them. 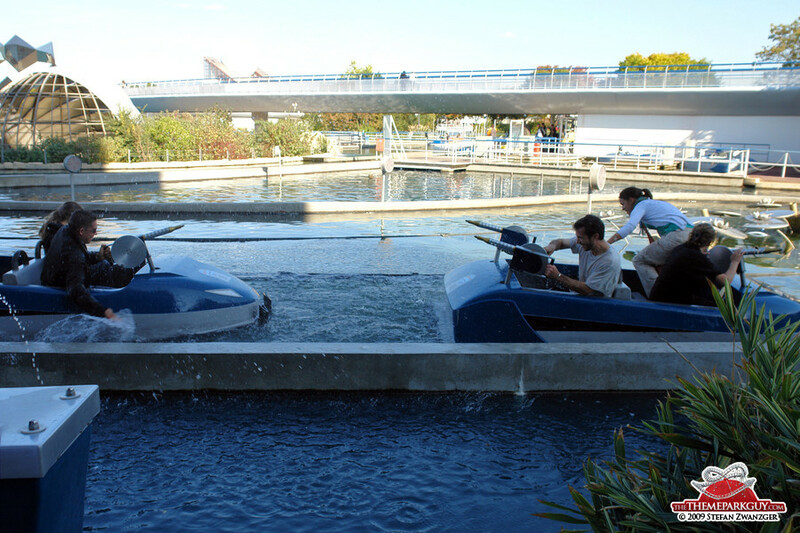 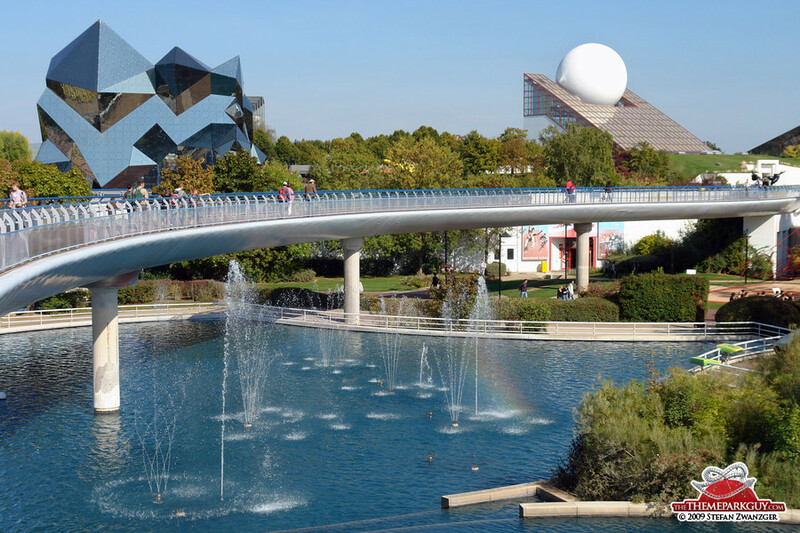 The creators of Futuroscope, inspired by Disney's then newly-opened Epcot theme park, obviously didn't share my view when the project was being planned in the 80s. 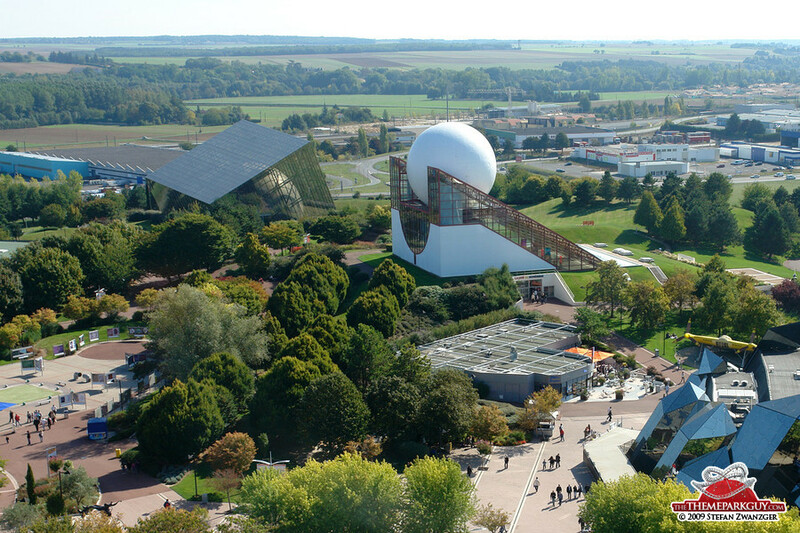 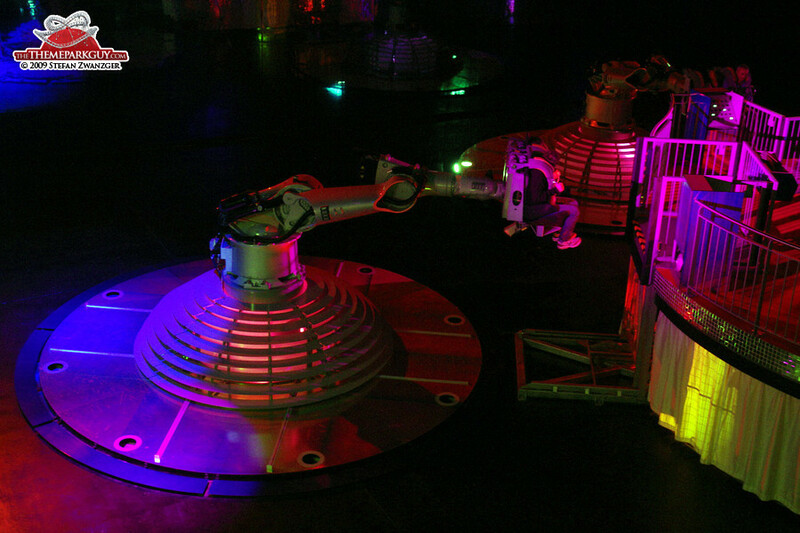 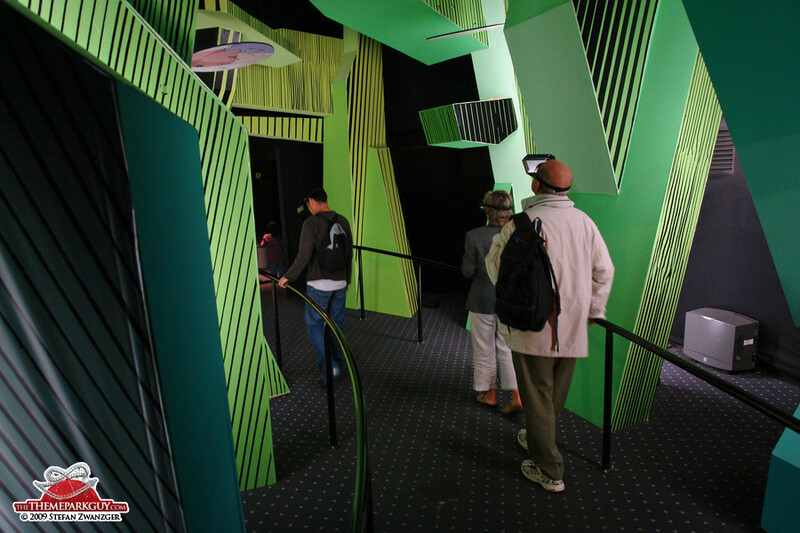 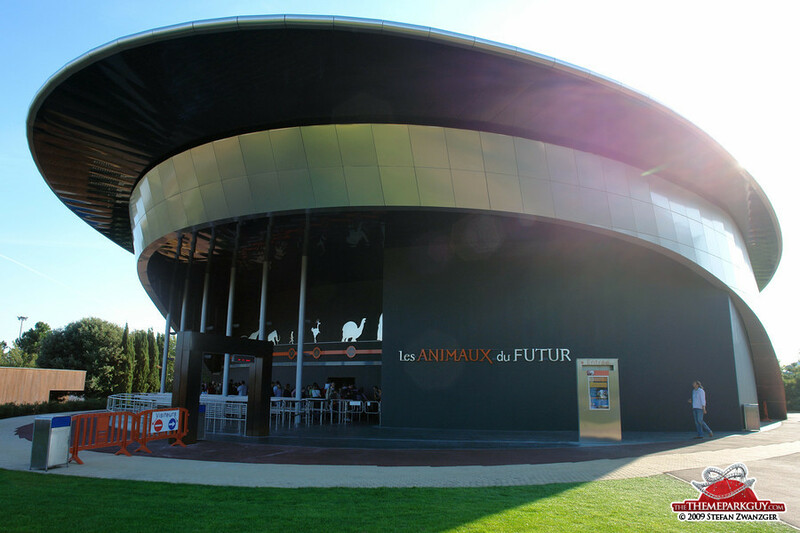 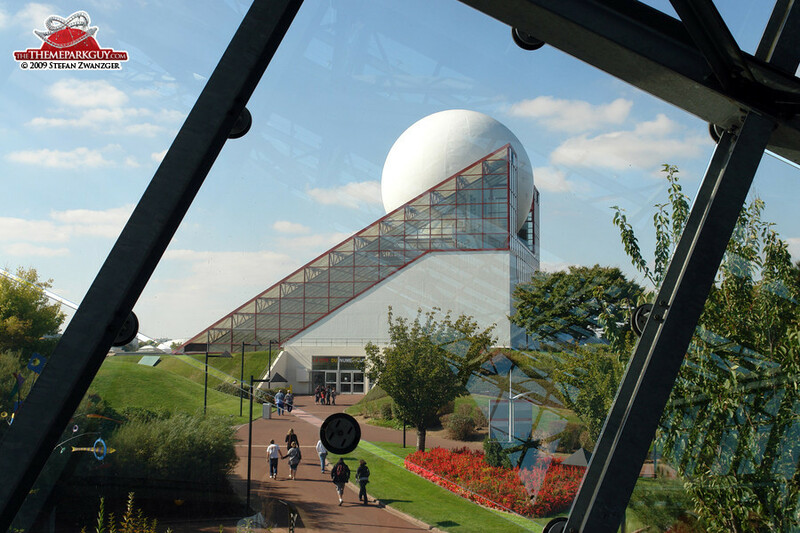 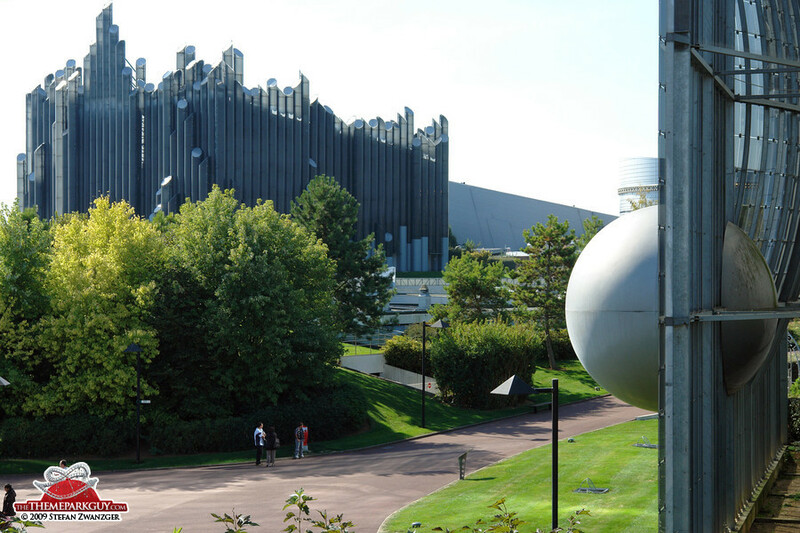 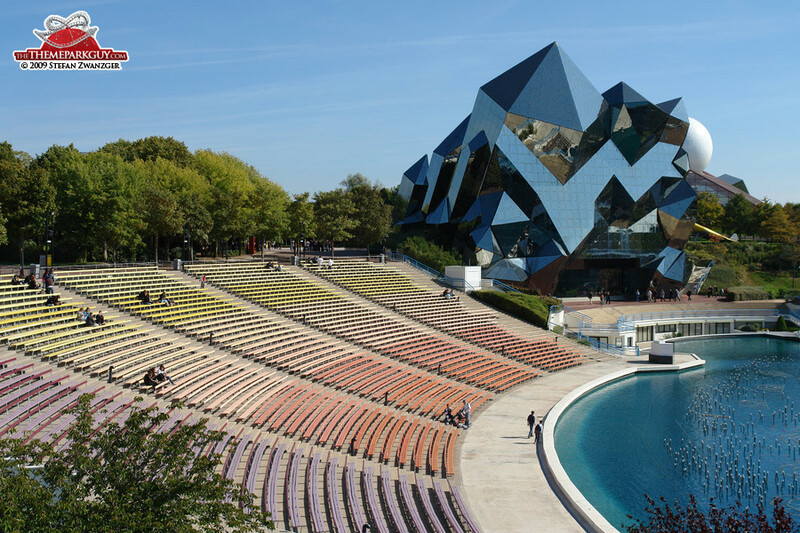 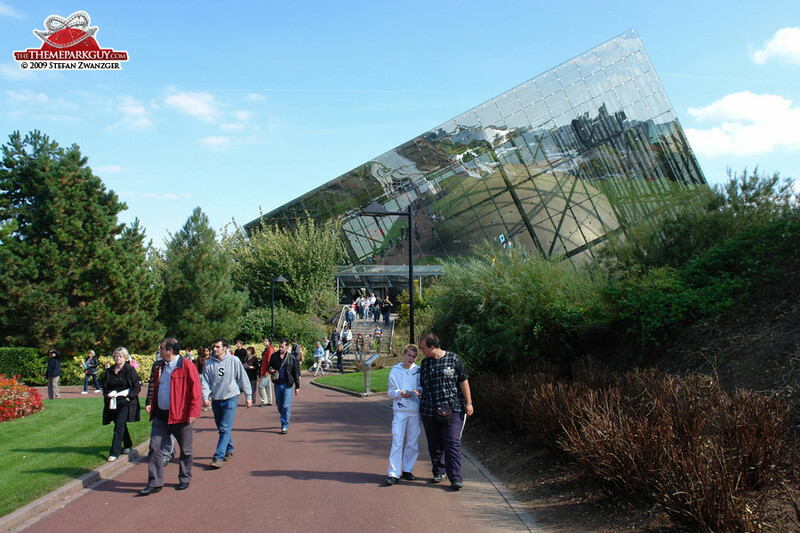 Futuroscope's many crystal, golf ball and organ-shaped buildings all have one thing in common: there's just another cinema screen inside. 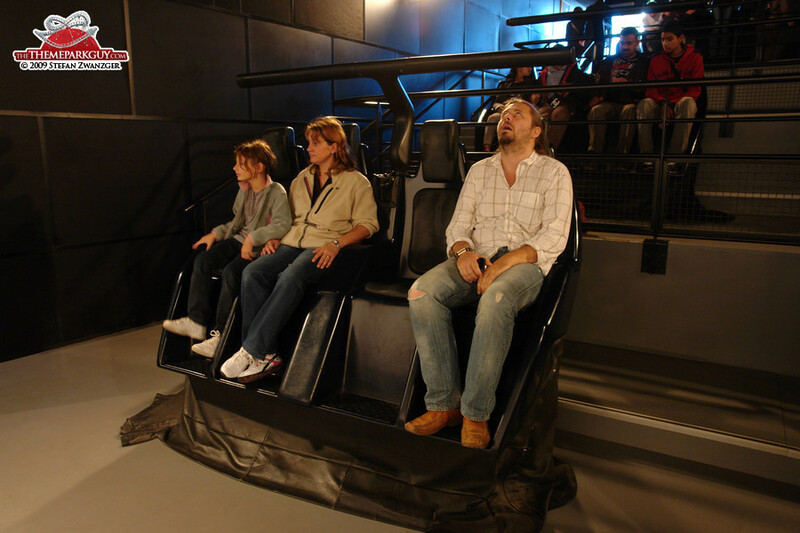 If you expect thrilling dark rides or roller coasters, you will be disappointed! 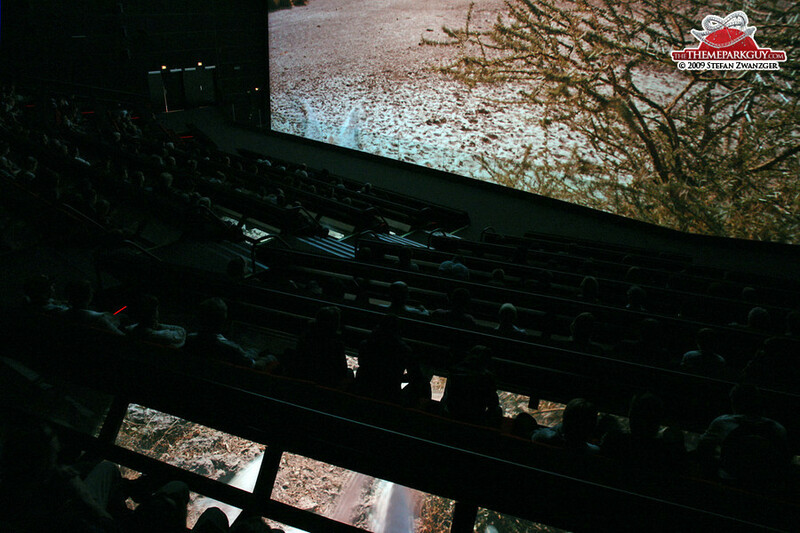 The only difference between the attractions is whether you put 3-D glasses on or not, whether the screen is big, bigger, the biggest, in front of you, below you or around you. 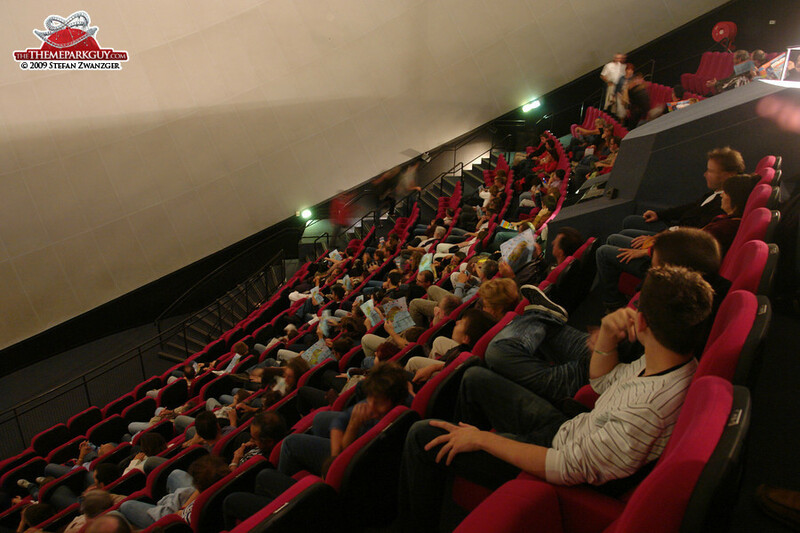 Apart from a few violent simulator rides, the future is reduced to a collection of movie theatres. 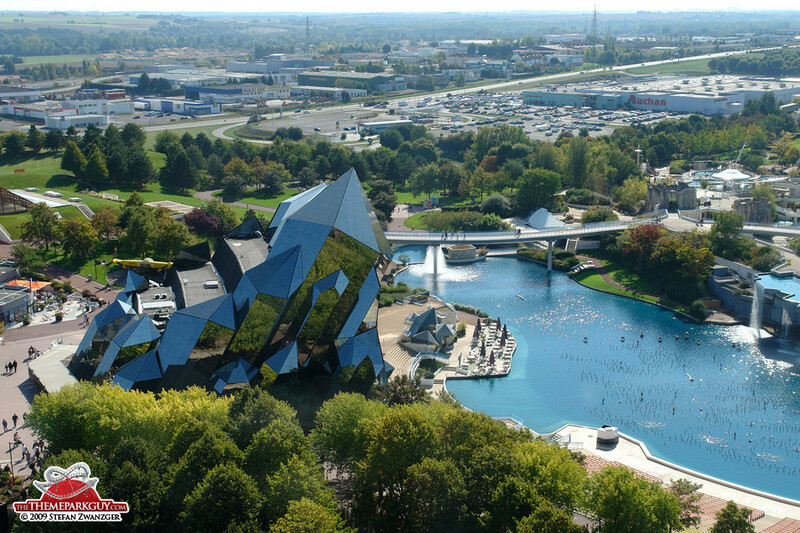 However, the movie-buff in me enjoyed the great 50-minute 3D-film 'The Wings of Courage', directed by mastermind Jean-Jacques Annaud, and I was in for another suprise with the night laser show, which was so brilliant and rich in storytelling that Futuroscope deserves one extra star (hat) for this alone.